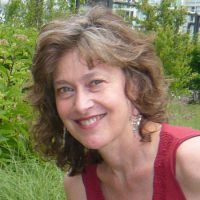 Sally Lehrman is a science and medical writer who created and leads the Trust Project. Lehrman, Sally. "Trust comes first." Nieman Journalism Lab. Nieman Foundation for Journalism at Harvard, 18 Dec. 2017. Web. 19 Apr. 2019. Lehrman, Sally. "Trust comes first." Nieman Journalism Lab. Last modified December 18, 2017. Accessed April 19, 2019. https://www.niemanlab.org/2017/12/trust-comes-first/.